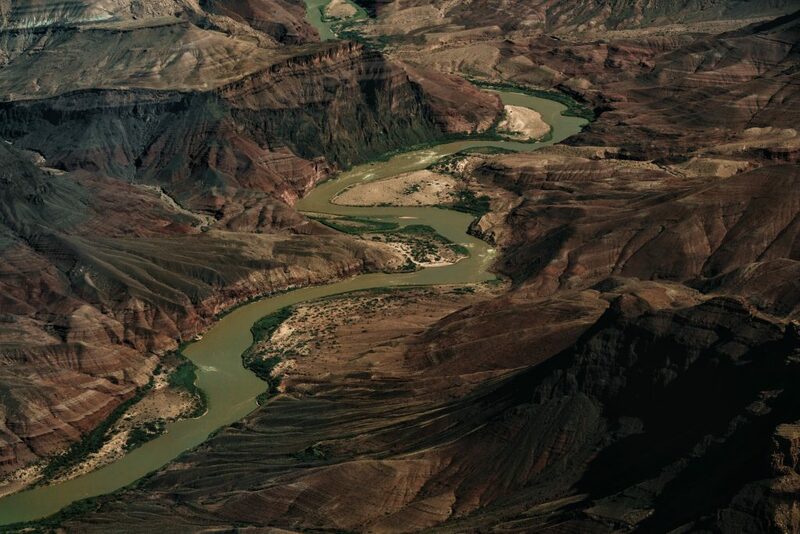 The Colorado River - Lifeline of the Southwest - World Rivers Become a Patron! The sight throws you off balance. You step out the forest path, and suddenly a vast canyon opens up in front of you. Its size is immense. 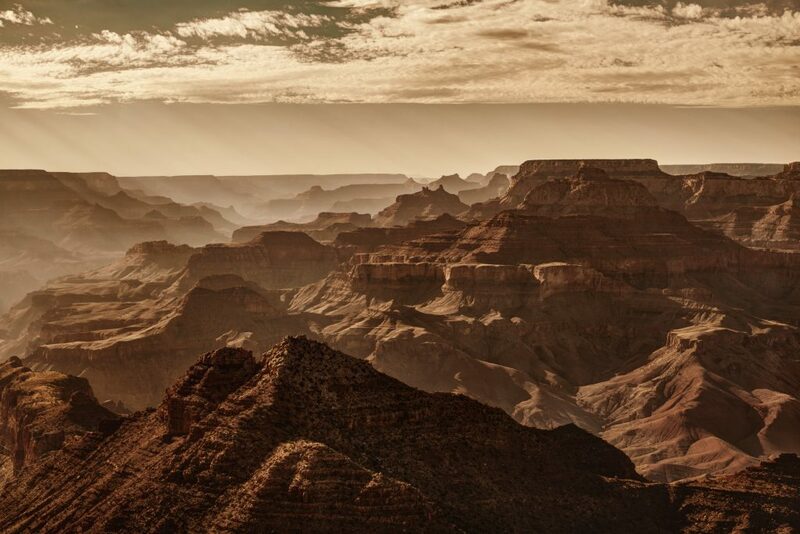 It is difficult to comprehend just how massive the Grand Canyon is and no matter how creatively written trip guides you’ve read, or how many times you’ve seen it in some Hollywood movie, and you are left unprepared the first time you see it with your own eyes. Words like “breathtaking” and “amazing” are the usual go-to, but they fade in comparison to the actual feeling of exhilaration, awe, and insignificance. You just can’t help feeling tiny and humble faced with this true natural wonder and it’s even harder not to think about how short our human existence is while your retinas are bombarded with endless shades of red, brown and orange, all thanks to an incredible combination of water and time. 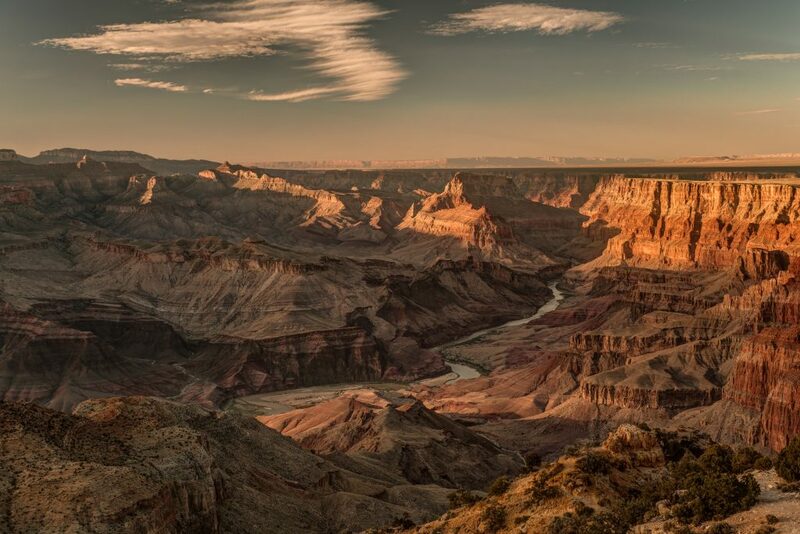 It took Colorado River nearly 5 million years to carve out this incredible landscape and wash it away into the Gulf of California few hundred miles downstream. 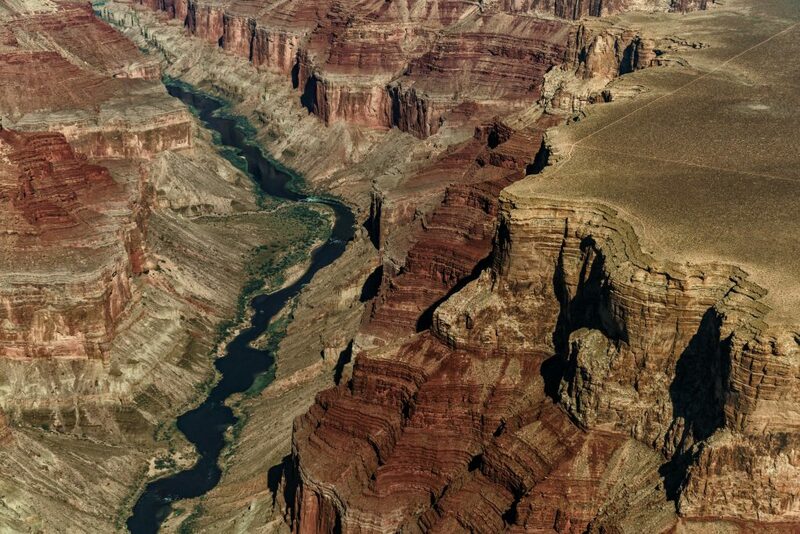 Even more impressive, the river cut into nearly 2 billion years of worth of rock sediment. And it still does it today, albeit at a much slower rate. Due to the current ecological turmoil and many dams, reservoirs and silt traps that humans have built in the last 100 years, the flow of Colorado is slowing down. 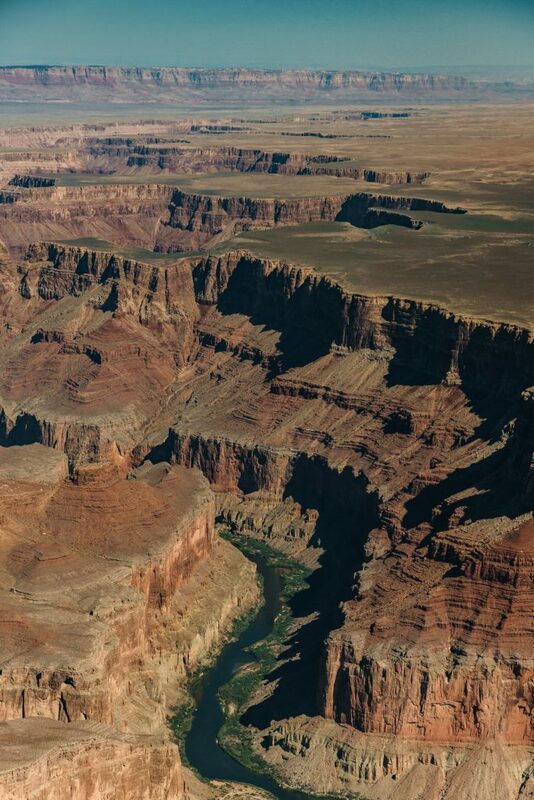 It is hard to understate just how vital Colorado River is for American Southwest. 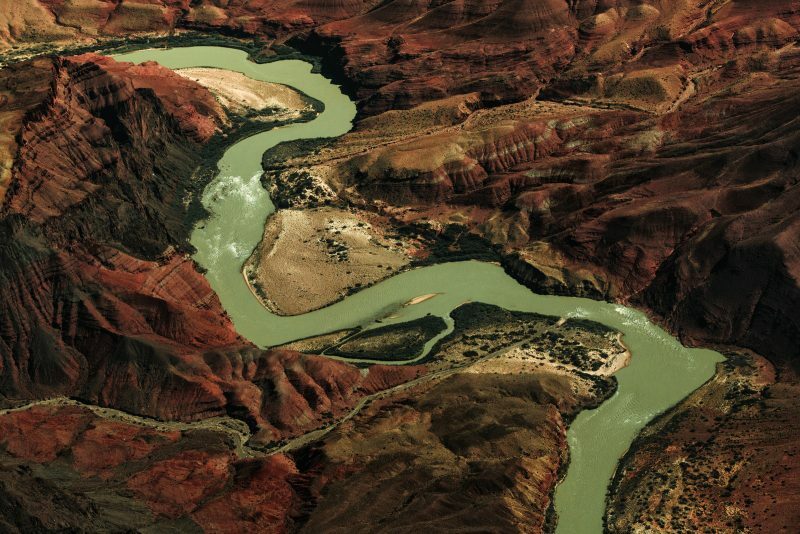 In this dry and arid desert, the river is both a metaphorical and literal lifeline. Without it, there’d be no Lake Mead and thus no Hoover Dam. The workers that came to build once the largest dam in the world would not come here to start a settlement known as Las Vegas. The thirsty agricultural fields that support 40 million people would simply not exist. 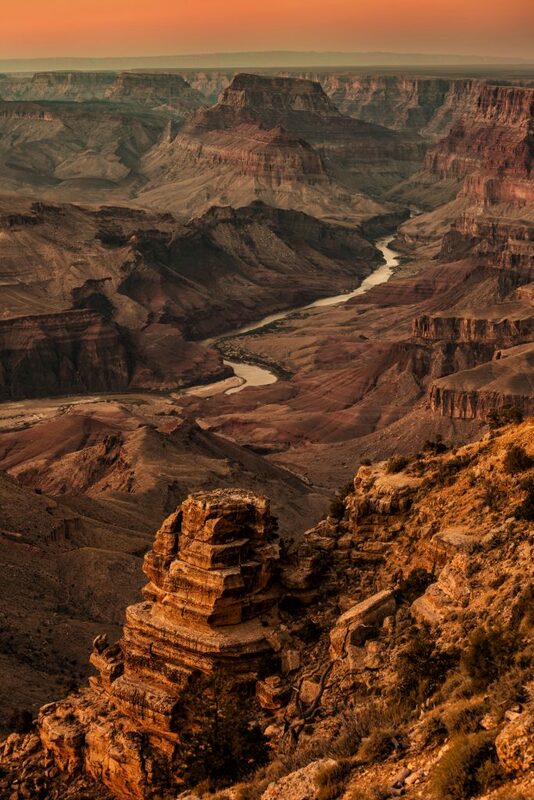 Up from the Southern plateau of Grand Canyon, the Colorado River looks small and calm. But the history of the battle between the river and humans is anything but peaceful. At the end of the 19th-century first waterwork, projects were being constructed in an attempt to harness the Colorado and use the river to supply water for the Imperial Valley – a vast empty area the entrepreneurs of the California Development Company considered as an excellent location to develop large scale agriculture operation. The business started to boom, and job-seeking migrants began planting more and more fields, requiring more water to irrigate them. It was all going well, but soon unpredictable Colorado would strike the first blow. In 1905 the floods destroyed the irrigation canal, and suddenly a carefully controlled influx of the water was running wild. It was not long before the entire water flow of Colorado River was flooding the Imperial Valley. 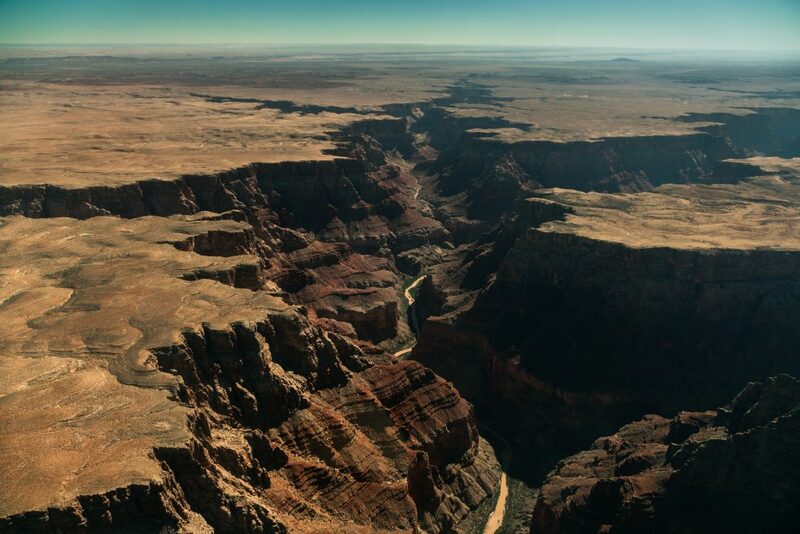 Desperate attempts were made to make a quick stop and force the river into its natural flow, but all failed, and it took two years to block the breach finally. During those two years the Colorado River created a 70 km lake, today is known as the Salton Sea, leading to the conclusion that a more permanent solution is needed to rein in wild Colorado: build the worlds largest dam.